Soon, you'll be able to watch and download your favourite YouTube clips through RealPlayer. Real Networks today announced that it will be launching a new version of its RealPlayer this June. The new version has support for file types other than just Real files, including Windows Media, Flash and QuickTime. 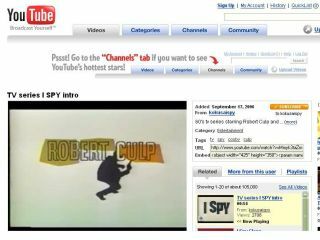 The new RealPlayer version will also enable you to download video streams from websites such as YouTube and MySpace to your computer using a single click. The downloaded videos will be kept in a searchable iTunes-style library. It will be possible to download multiple videos at once, although Real Networks would not say if there was a limit on the number of simultaneous downloads. The application works by temporarily displaying a small download tab in the right top corner of any video content it detects on a given web page. It's even able to record streaming internet video in real time. One nifty feature is that you can start downloading a clip even if you've watched it half-way through - the entire video will be saved onto your hard drive. You can burn videos to CD/DVD. "The new RealPlayer gives consumers more control of internet video than was ever possible before," Real Networks CEO Rob Glaser said in a statement . "The new RealPlayer is a major step towards realising our vision of bringing great digital entertainment to more people on more screens around the world." It remains to be seen how content providers react to having their content offered to users in this way. Even if copyrighted content were to be removed from a website such as YouTube, thousands of users may have already downloaded a copy to keep on their hard drives. Real Networks said its software will not record video from websites that use copy protection technology, such as standard and high definition streams of TV shows. The new RealPlayer will work with both Internet Explorer and Firefox. A public beta Windows-only version will be launched later this month, with a Mac OS X version following later this year.